Intense hydration, even in extreme conditions. Engineered for a man’s skin. Every guy should have a skincare routine that’s quick, easy, and delivers clean, smooth, and comfortably hydrated skin. Clarins’ range of great skincare products for men takes the guesswork out of men’s face care in three simple steps for great-looking skin. The best cleansers for men work with your skin type to deep clean and remove oil and debris in the pores that can lead to blemishes. But don't use a bar of body soap to clean your face – this will dry out and irritate your skin. A foaming face wash – like ClarinsMen Active Face Wash – has all the power needed to tackle dirt, grime, and pollutants, with the gentle purifying power of Grindelia and Gaultheria extracts. Even razor-burned skin is left soft, toned, and geared-up to handle whatever comes its way. For oily or combination skin, try a 2-in-one cleanser. ClarinsMen Exfoliating Cleanser is powered by gentle exfoliants—including natural lava powder—to rid skin of pore-clogging sweat, oil and spent surface cells. A perfect pre-shave prep in two easy steps. Apply the cleanser in a circular motion to your cheeks, forehead, and neck. Wash your face after your shower. Hot water can irritate the skin so leave it till last to wash your face, then rinse off with cool water to close the pores. Daily shaving stresses the skin and can result in razor burn, ingrown hairs, and inflammation. The men’s skin care products you use during and post-shave will have an impact on the long-term health of your skin. When it comes to face care, the ClarinsMen range knows the terrain. Try a product like ClarinsMen Smooth Shave, a nick-resistant foaming gel that cushions skin for easy razor glide — so you can manage your most challenging angles with expert handling and control. Bison Grass and Chinese Galanga soothe, energize, and purify for a hassle-free shave. Follow with a rehydrating post-shave toner that suits your skin type. A product like ClarinsMen Refreshing Apple Vinegar Toner works for combination and oily skin to soften and mattify – perfectly prepping your skin for the treatment to come. For dry skin, ClarinsMen Comforting Apple Vinegar Toner softens, energizes, and hydrates the skin. To reduce irritation and take the heat off razor burn, ClarinsMen After Shave Energizer, is an invigorating post shave splash, containing Purslane, Centella, and Blue Alpine Thistle, will leave skin so comfortable and refreshed – you’ll look forward to your next shave. If your face craves more TLC, ClarinsMen Shave Ease Oil - an alcohol-free balm - comforts, smoothes and moisture-perfects razor-stressed skin. This comforting shaving oil contains essential oils of Rosemary, Eucalyptus and Mint — to soften stubble and banish razor burn. That means no more grunt work. Just a close, clean, friction-free shave. Facial hydration for men is all about maintaining balance. Skin that is too dry or too oily results in dull, flaky skin and blemishes, or skin that ages before its time. Up your moisture game with an anti-pollution balm like ClarinsMen Super Moisture Balm that comforts skin after shaving and shields it from environmental damage with a patented anti-pollution complex for smooth, even-toned skin. When it’s time to take men’s face care to the next level – ClarinsMen Hydra-Sculpt Resculpting Perfector is the way to get a chiseled look and smooth, hydrated skin, compliments of a plant-packed, gel-cream formula that visibly firms, sculpts and defines the jawline. If smoothing-out deep lines and wrinkles is your goal – ClarinsMen Line-Control Cream lifts and firms in all the right places while helping to block skin-damaging pollutants, too. And don’t forget your most age prone zone—the eye area. 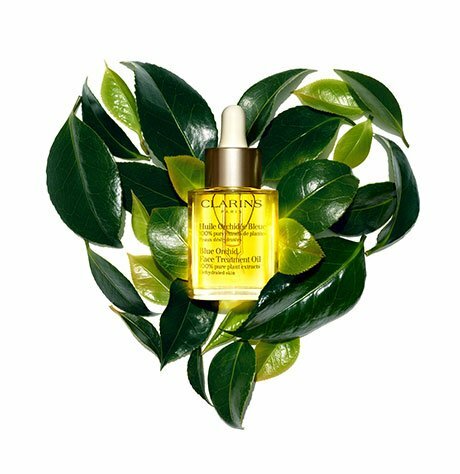 ClarinsMen Anti-Fatigue Eye Serum temporarily decongests puffiness, brightens dark circles and smoothes the look of wrinkles by tightening eye contours for younger-looking eyes. For the eyes – warm the cream in your hands, apply to the eye contours by pressing gently with the heel of the hand, and repeat twice. Hydrate the face by warming the balm in your hands, and pressing gently into the skin on cheeks, forehead, chin, and neck.